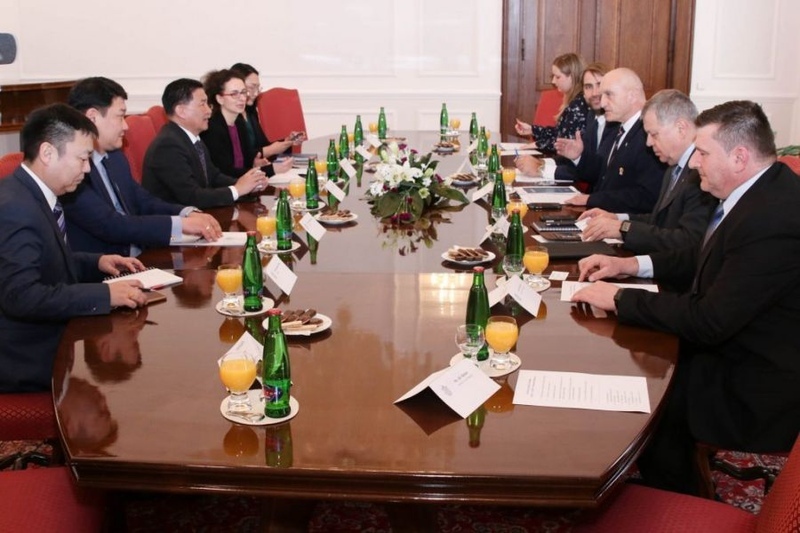 AKIPRESS.COM - Minister of Energy of Mongolia Ts.Davaasuren paid a working visit to the Czech Republic at the invitation of Czech Minister of Industry and Trade Marta Novakova. Within the visit, Mr. Davaasuren held official meeting with Ms. Marta Novakova, Czech Minister of Industry and Trade, at which the parties expressed interest to develop bilateral cooperation in energy sector, especially in the fields of renewable energy and hydropower plant and exchanged views on building decent source of energy, increasing the capacity of energy grid and conducting joint researches. Moreover, Mr. Davaasuren met with Mr. Stanislav Berkovec, Member of the Chamber of Deputies of the Parliament, chairman of Election Committee of the Parliament and member of Czech-Mongolia inter-parliamentary group. They discussed about expanding bilateral economic and trade cooperation, implementing joint projects and programs and strengthening ties of businessmen. Energy Minister Davaasuren also held a meeting with Senator Mr. Jaroslav Doubrava and exchanged views on cooperation opportunities of energy sector. Mongolian delegation headed by Mr. Davaasuren visited ‘ZPA Smart Energy’ Company that is implementing smart electricity meters and modern metering system at ‘Ulaanbaatar Electricity Distribution Network’ Company, where the sides shared views on further cooperation in reducing energy loss and strengthening reliable operation of the network. As a part of the visit, the delegation saw operations of Les Kralovstvi hydropower plant on the River Elba, Montsame news agency reported.